In the Middle Ages, the area of what is now Borjomi was part of the Tori province. It was populated by a series of forts guarding the strategic crossroad of routes leading to the western, eastern, and southern provinces of Georgia. Three important forts – those of “Gogia”, “Petra”, and “Sali” – still overlook the town from nearby hills. From the 16th century into the 19th, the area belonged to the noble family of Avalishvili, but was largely depopulated as a result of Ottoman inroads. After the Russian annexation of Georgia, the Borjomi area began to revitalize. 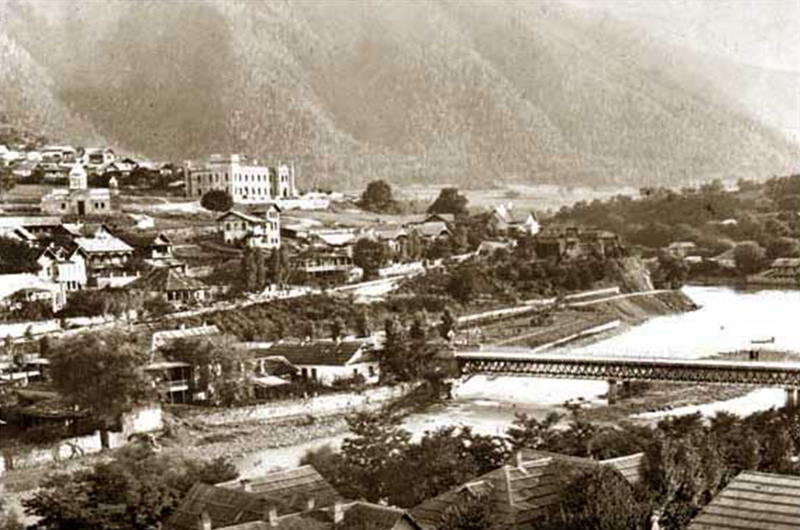 The toponym Borjomi is first recorded in the 1810s. The town and its surroundings were placed under the Russian military authorities. 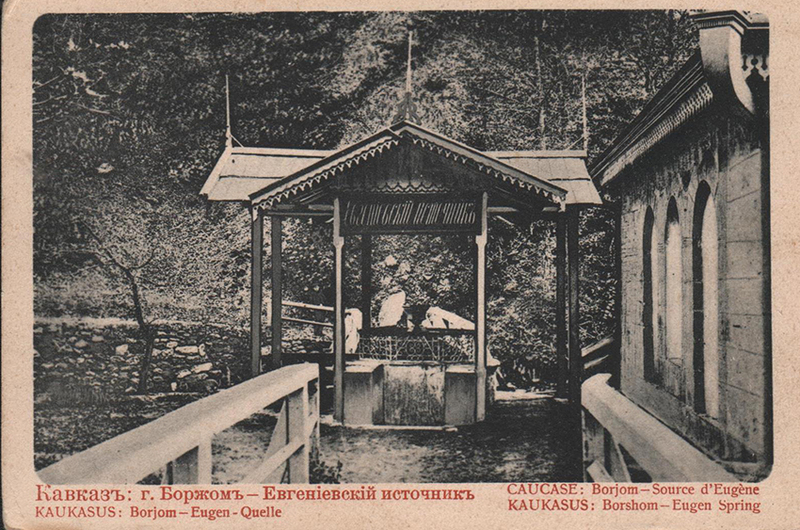 Borjomi began receiving soldiers in the 1820s. Buildings and baths began going up in the 1830s. 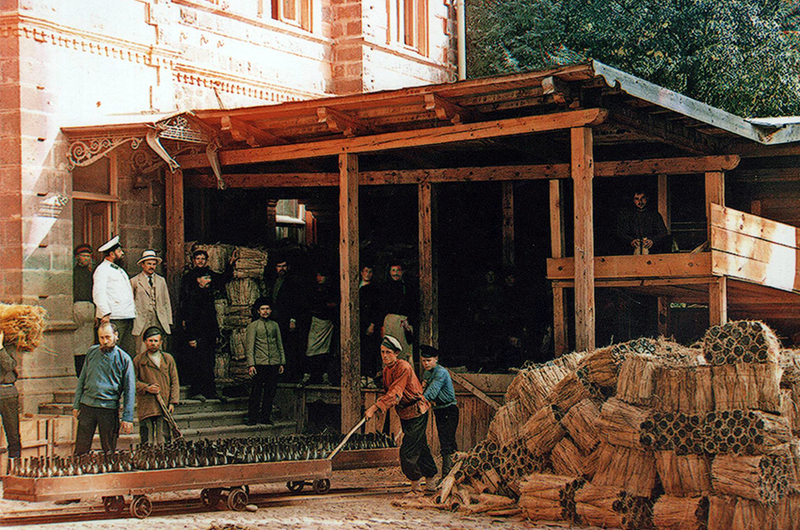 Early in the 1840s, when the Russian Viceroy of the Caucasus Yevgeny Golovin brought his daughter down to partake of the cure, he expedited the official transfer of the waters from the military to civil authorities. 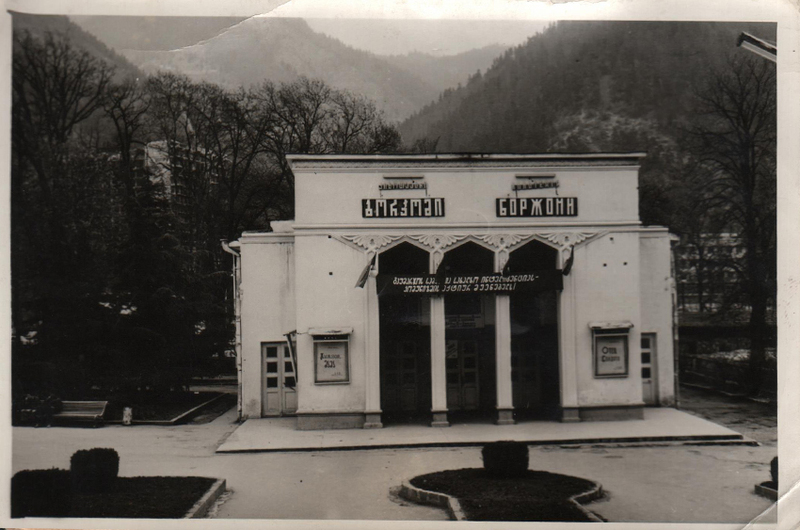 The viceroy Mikhail Vorontsov, fascinated by local landscape and mineral waters, made Borjomi his summer residence and refurnished it with new parks. Its warm climate, mineral water springs, and forests made Borjomi a favorite summer resort for the aristocracy, and gave it its popular name of "the pearl of Caucasus". 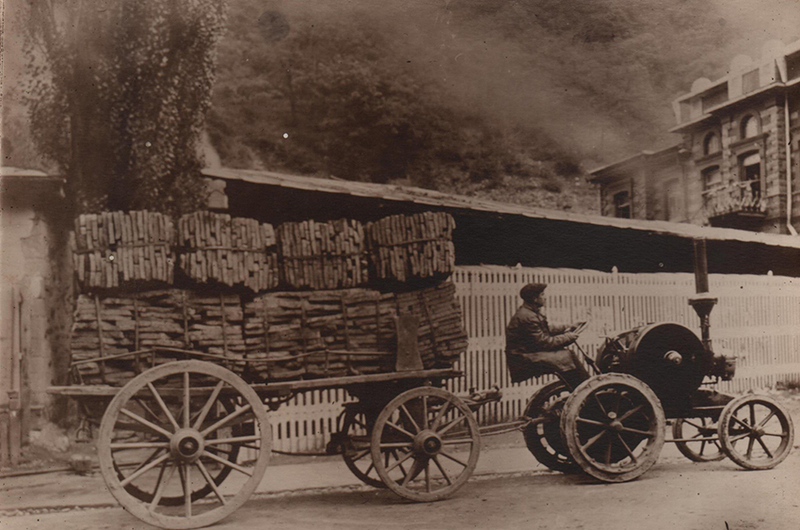 In the 1860s, new hotels were built, and an administration for mineral waters was established. 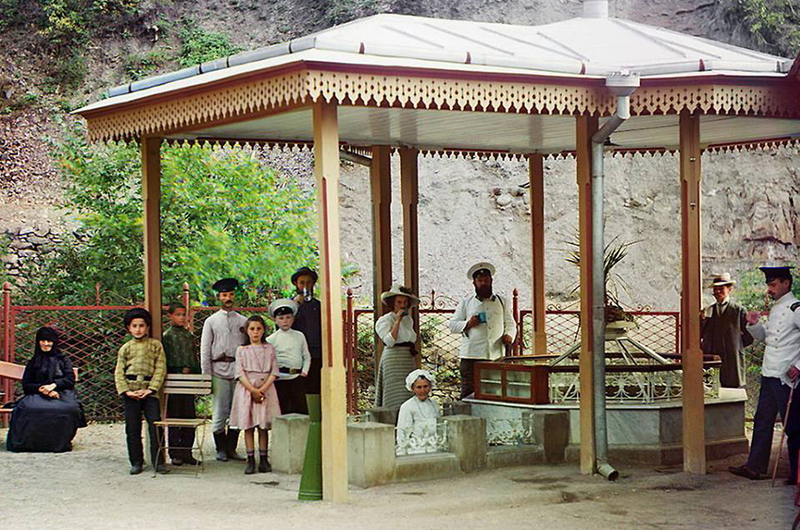 In 1871, Borjomi was bestowed upon the royal family member, Grand Duke Mikhail Nikolayvich, then the viceroy of the Caucasus. 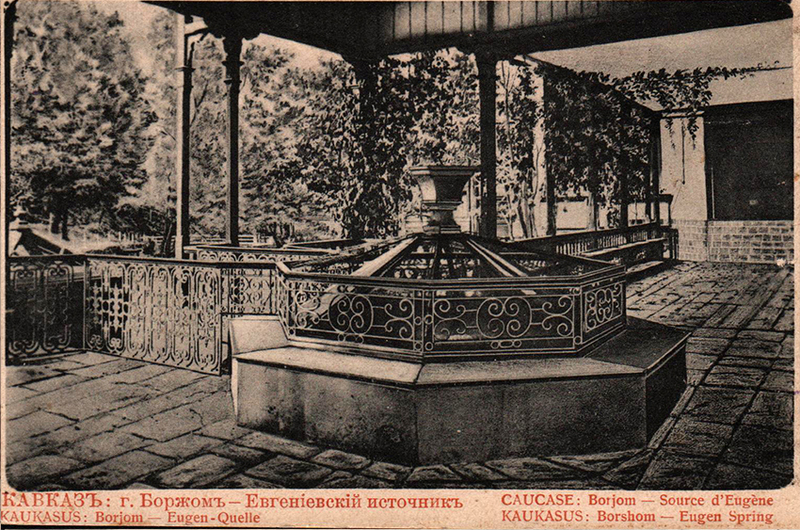 In the 1890s, Mikhail’s son, Nikolay, built a park and a chateau at Likani, at the western end of Borjomi. The bottled mineral waters began to be extensively exported. The town grew significantly at the expanse of Russian migrants and, in 1901, the number of ethnic Russian inhabitants (2,031) outstripped the native Georgians (1,424) for the first time. 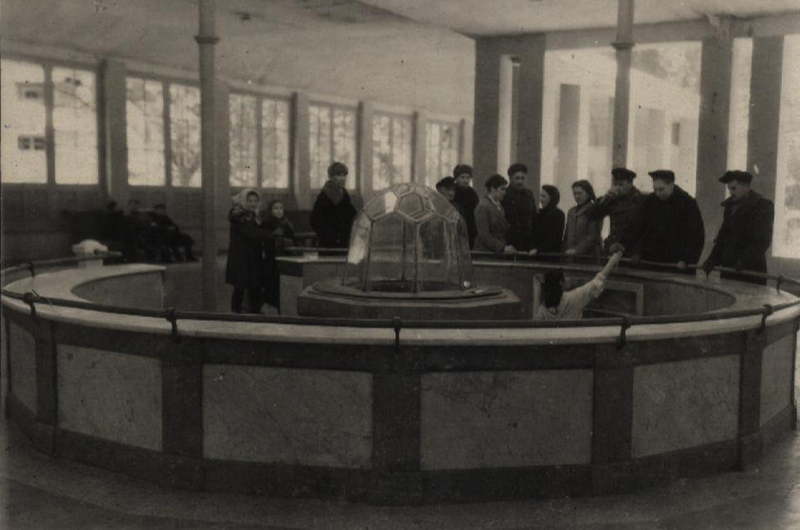 Following the Red Army invasion of Georgia in 1921, the Soviet regime confiscated all aristocratic mansions and turned them into sanatoria, frequented by the Communist party elite. 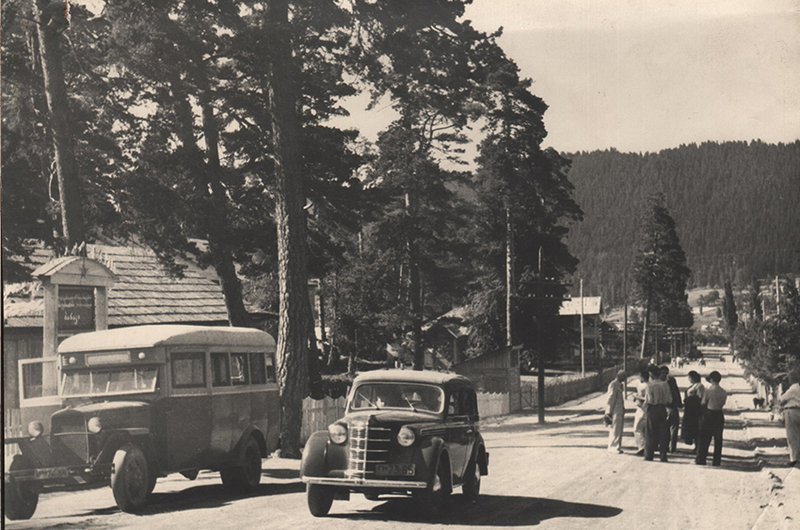 Despite significant damage caused by a flood on April 18, 1968, Borjomi continued to grow throughout the Soviet era. The post-Soviet years of political and economic crisis hindered development of the area, but it remained a popular destination for internal tourism. In the 2000s, a growing government and private investment into tourism and municipal infrastructure helped Borjomi recover from a decade of decay. Borjomi, together with Bakuriani, was named by Georgia as an applicant city for the 2014 Winter Olympics on June 22, 2005, but it was eliminated as a candidate by the International Olympic Committee on June 22, 2006.